All compositions by Raoul Björkenheim. Raoul Björkenheim, who is one of the most adventurous guitarists on the contemporary scene, initially progressed from B.B. King to Frank Zappa and from John McLaughlin to John Coltrane in his search of a sound of his own. With his own groups, such as Krakatau, Björkenheim accomplished that goal more than two decades ago and has successfully brought this unique sound to his own compositions as well. 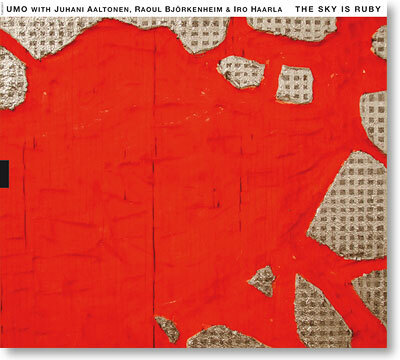 For The Sky Is Ruby, Björkenheim penned eight inspired original compositions that make good use of the orchestra and its soloists, including tenor saxophone great Juhani Aaltonen and pianist/harpist Iro Haarla, plus the composer himself. The end result stands out as one of the rare recent recordings of improvised music for a larger ensemble that avoids repeating the by now trite mannerisms of traditional big band music.